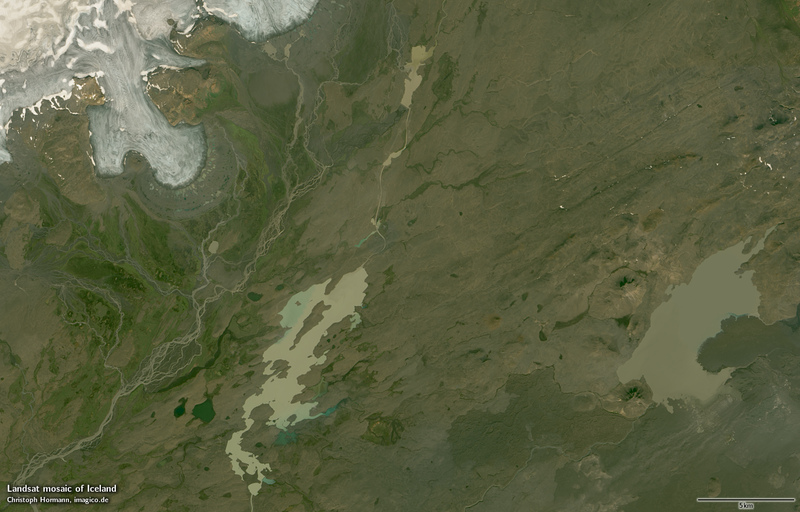 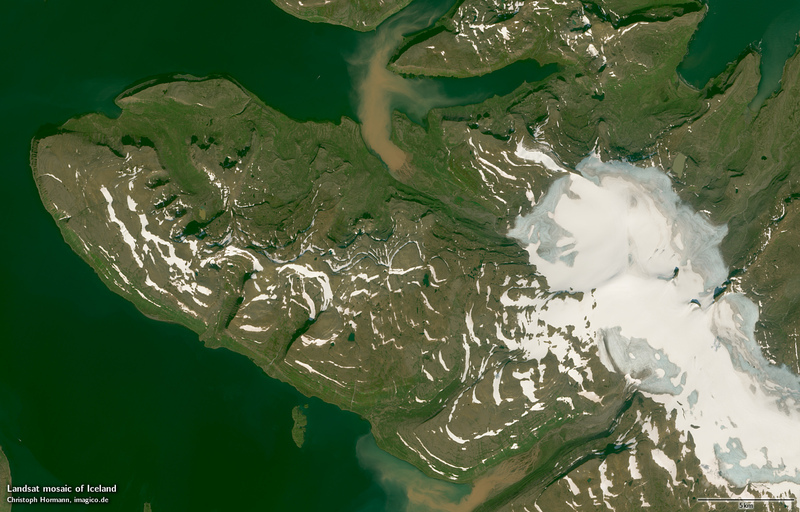 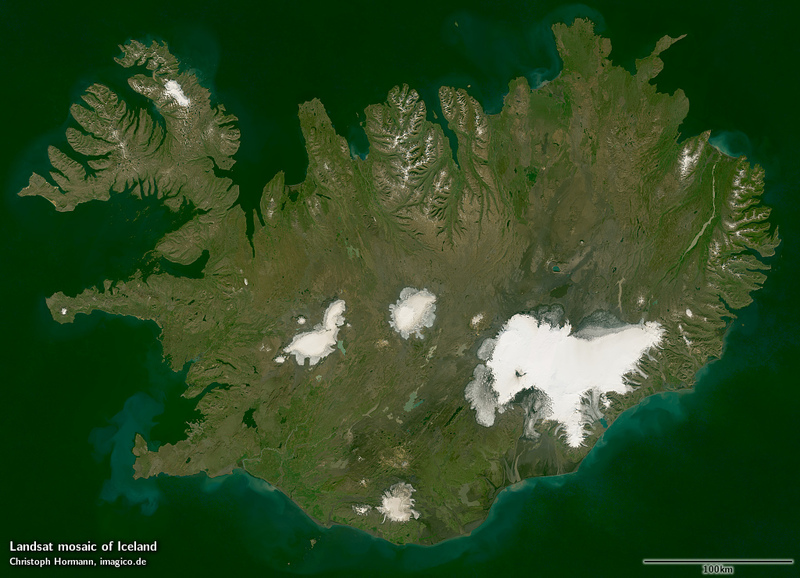 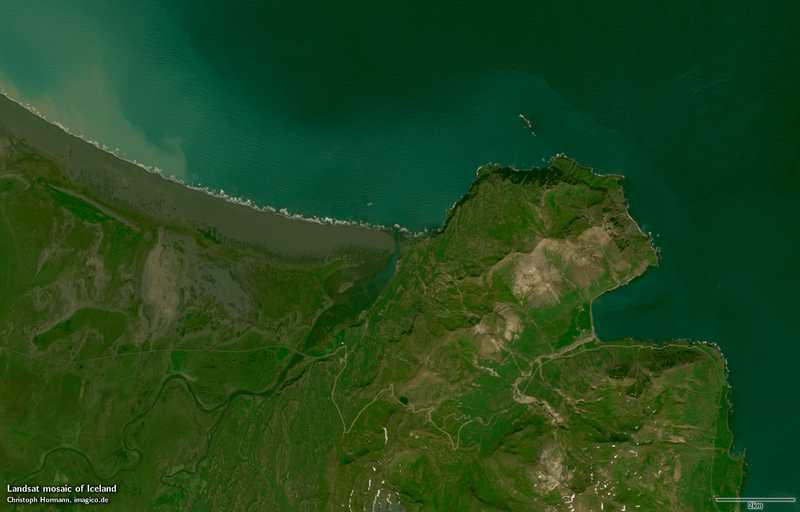 This Landsat mosaic of Iceland gives a realistic up-to-date visual color impression of the area as it appears during summer, with most source data from August/September. 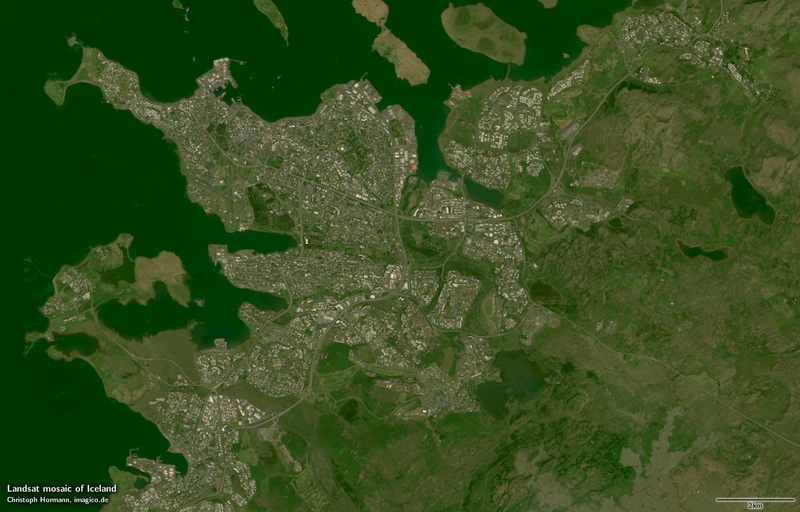 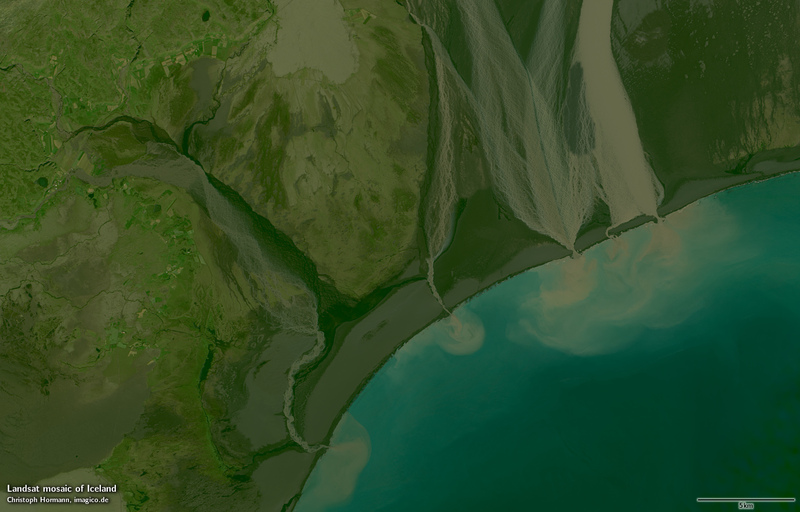 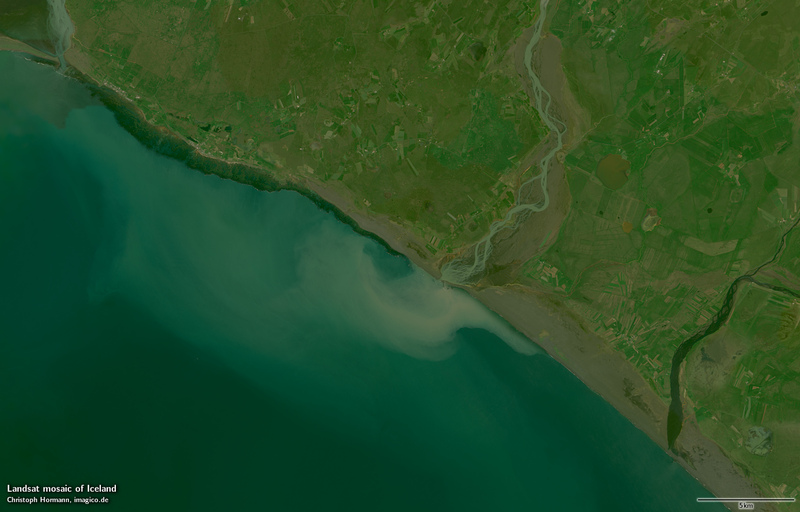 Source data is almost exclusively Landsat 8 imagery from 2013 to 2016 and Copernicus Sentinel-2 imagery from 2015 and 2016 with only very few small areas where this has been supplemented by Landsat 7 imagery from 2006-2013. 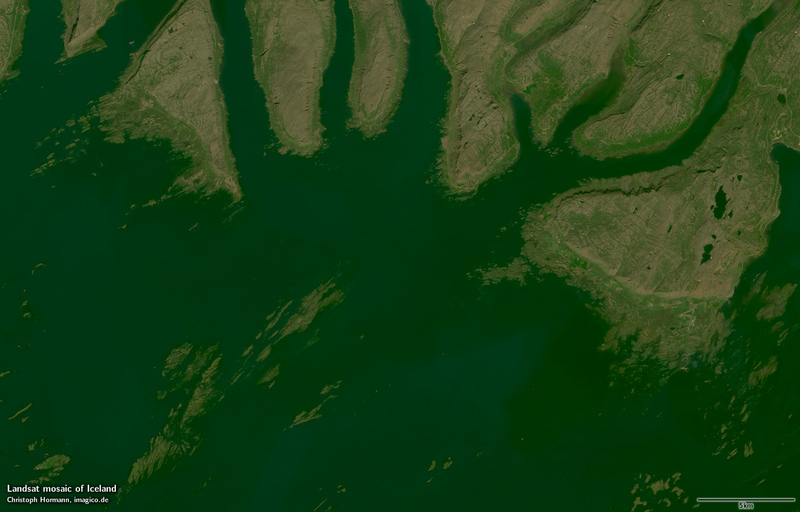 Assembled in UTM zone 27, can be made available in other projections.